Recently ultracapacitors have gained a lot attention as appealing forms of energy storage: they have extended service life, nearly 100% operational efficiency, and can recharge within seconds. Compared to batteries, they are less volatile and much lighter, however, they do have down sides such as low energy-storage capacity. Therefore, they are often used as backup power sources for renewable energy technologies, electric cars, and consumer devices. An MIT startup FastCAP Systems is building new ultracapacitors, and ultracapacitor-based systems that are capable of providing greater energy density and other advancements. This technology paves the way for new applications for the devices spanning a broad range of industries, including some for use in extreme environments. FastCAP’s ultracapacitors are based on MIT research, and can store up to 10 times the energy and realize 10 times the power density of similar devices in the market. They are the only ultracapacitors in the market that can endure temperatures as high as 300°C and as low as minus 110°C, allowing them to be used in extreme conditions found in outer space and drilling wells. The company recently developed an AA-battery-sized ultracapacitor with the same advantages as its bigger versions, so customers can place the devices into areas where ultracapacitors could not fit previously. Established in 2008, FastCAP has showcased its technology to the oil and gas sector, and they now aim to launch into the defense and aerospace sector. It then envisions use in hybrid, electric, and even fuel-cell vehicles. In our long-term product market, we hope that we can make an impact on transportation, for increased energy efficiency. Ultracapacitors function using electric fields to transport ions to and from the surfaces of positive and negative electrode plates, which are often coated with a porous material known as activated carbon. Ions stick to the electrodes and let go rapidly, enabling speedy cycling, but the small surface area restricts the number of ions that stick, hindering energy storage. 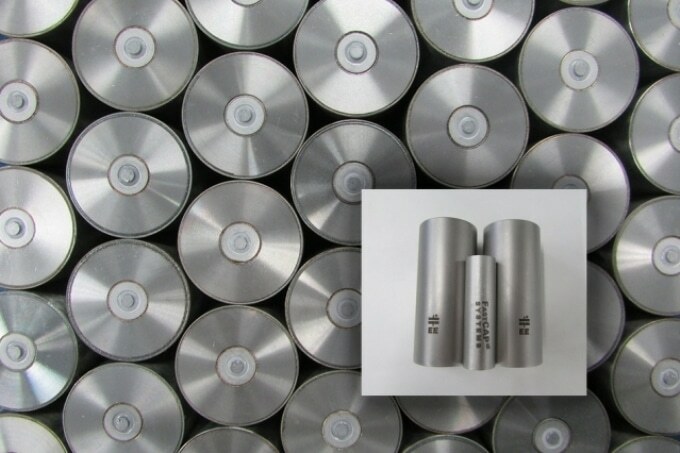 Traditional ultracapacitors can, for example, contain around 5% of the energy that lithium ion batteries of the same size can. In the late 2000s, the FastCAP founding team had a breakthrough - they discovered that a firmly packed array of carbon nanotubes vertically arranged on the electrode provided a bigger surface area. The array was uniform compared to the porous material, which was irregular and hard for ions to travel in and out of. “A way to look at it is the industry standard looks like nanoscopic sponge, and the vertically aligned nanotube arrays look like a nanoscopic hairbrush” that offers the ions better access to the electrode surface, Cooley says. The Ford-MIT Alliance and MIT Energy Initiative provided funding for the researchers to build a fingernail-sized prototype capable of storing twice the energy and supply seven to 15 times more power than traditional ultracapacitors. Cooley and Signorelli took the FastCAP business idea to Course 15.366 (Energy Ventures), where they designed a three-step approach for commercialization. Initially, they decided to focus on building a product for an early market: oil and gas. When the momentum picked up, they would focus on two more markets, defense and aerospace, and then automotive and stationary storage, such as grids and server farms. One of the paradigms of Energy Ventures was that steppingstone approach that helped the company succeed. FastCAP made it into a finalist spot in the 2009 MIT Clean Energy Prize (CEP), which brought about a few extra perks. “The value there was in the diligence effort we did on the business plan, and in the marketing effect that it had on the company,” Cooley says. FastCAP won a $5 million U.S. Department of Energy (DOE) Advanced Research Projects Agency-Energy grant based on their CEP business plan that year, to build ultracapacitors for its target markets in automotive and stationary storage. The company also earned a 2012 DOE Geothermal Technologies Program grant to create very high-temperature energy storage for geothermal well drilling, where temperatures greatly surpass the endurance level of currently available energy-storage devices. Still in the developmental stage, these ultracapacitors have been established to perform from minus 5°C to over 250°C. Many of the innovations designed over the years by FastCAP have helped the ultracapacitors to tolerate harsh conditions. FastCAP’s first-generation product for the oil and gas market was launched in 2012. It was a high-temperature ultracapacitor that could endure temperatures of 150°C and posed no hazard of explosion when damaged or crushed. That was an interesting market for us, because it’s a very harsh environment with [tough] engineering challenges, but it was a high-margin, low-volume first-entry market. We learned a lot there. FastCAP deployed its first commercial product in 2014. The Ulysses Power System is an ultracapacitor-powered telemetry device, a long antenna-like system designed to communicate with drilling equipment. This replaces the battery-powered systems that are less efficient and explosive. It also amplifies the signal strength of the device by 10 times, meaning it can be transmitted several feet underground and through subsurface formations formerly thought to be impenetrable. After spending some years in R&D, the company was ready to enter into aerospace and defense. In 2015, FastCAP concluded two grant programs with NASA to design ultracapacitors for Venus missions extremely high temperatures and for deep space missions involving extremely low temperatures. In May 2016, FastCAP continued its partnership with NASA and designed an ultracapacitor-powered module for planetary balloon components. This balloon floats to the edge of Earth’s atmosphere to monitor comets. The company is also building an ultracapacitor-based energy-storage system to enhance the performance of the tiny satellites called as CubeSats. There are many more aerospace applications. There are actuators systems for stage separation devices in launch vehicles, and other things in satellites and spacecraft systems, where onboard systems require high power and the usual power source can’t handle that. Building ultracapacitors to provide high-power features for stop-start and engine starting, longer battery life, and torque assist for electric and hybrid vehicles has been a longtime goal. In March, FastCAP struck a deal with electric-vehicle manufacturer Mullen Technologies. The plan was to use the ultracapacitors to boost the batteries in the drivetrain, greatly enhancing the range and performance of the vehicles. Based on their broad temperature features, the ultracapacitors from FastCAP could be fitted under the hood, or in several areas in the frame of the vehicle, where they could never be placed before and could last longer than traditional ultracapacitors. The devices could also be an enabling component in fuel-cell vehicles, which switch chemical energy from hydrogen gas into electricity that is subsequently stored in a battery. These zero-emissions vehicles struggle to handle surges of power, and therefore FastCAP’s ultracapacitors becomes the ideal solution, Cooley says.